Located along the Des Plaines River in picturesque downtown Joliet guests can win big all day and sleep in luxurious comfort at night! After a big day or evening on the gaming floor treat yourself to a night of luxury in one of 200 fabulous hotel rooms. 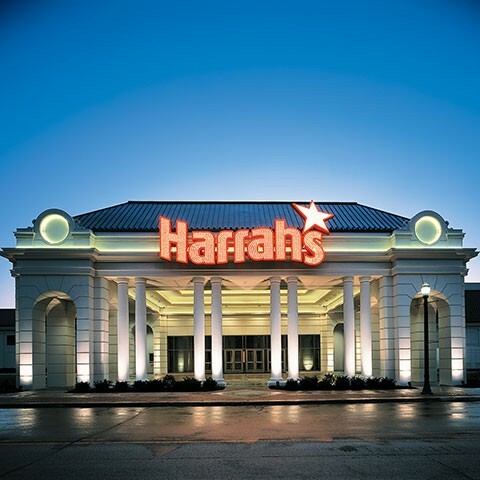 Everything is on the table when it comes to casino gambling fun at Harrah’s Joliet Casino and Hotel. Play your favorites on any of 31 table games ranging from the classics to new traditions. Whether you prefer the old-school spinning reels, high tech video games with elaborate bonus rounds or something in between, Harrah’s Joliet is certain to have your game. Casino has over 1,100 slot machines to choose from, one of the best Chicago slot selections, and in a variety of denominations, from pennies per spin up to high limit machines for our VIP players.